As you are familiar with, your shop needs clean rags to be most efficient and safe. Here at Porters, we will evaluate your specific needs and will be able to supply you with a program that will always keep you with an inventory of clean rags. Being family owned and operated, we strive to provide a simple but professional program for you with no additional damage charges or minimum amounts on rags. 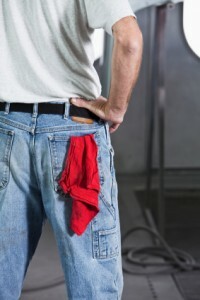 **Call us today and let’s help you get started with your new rag program to ensure a clean and safe work environment.